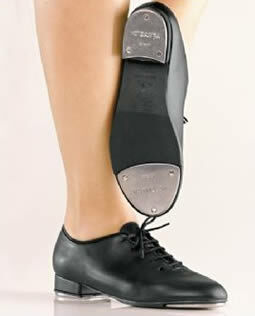 This seamless upper leather look UNISEX tap shoe comes with great sounding taps attached and a non slip rubber skid plate. 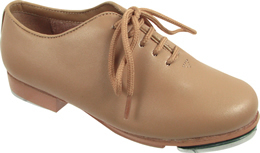 A great entry level shoe for the beginner or intermediate dancer. *Girls and Ladies order the same as regular USA street shoe size. **Youth Boys 3 & up and MEN order TWO (2) full sizes Larger than your regular street shoe size.